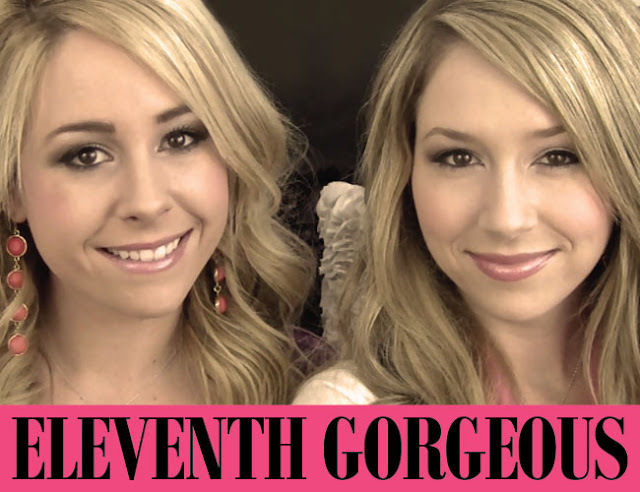 Meet Tracy and Stefanie, the beautiful sisters behind the popular YouTube channel Eleventh Gorgeous! We recently got the chance to chat with the gorgeous duo and learn a little more about their YouTube history and beauty secrets. Check out their exclusive interview! Sigma Beauty: What inspired you to create a beauty YouTube channel? Eleventh Gorgeous: We came across the beauty community a few years ago while looking for Halloween makeup ideas. The first beauty guru we watched was Panacea81 and we were immediately hooked! We watched beauty videos for a few months before we decided we just had to try it for ourselves! Everyone looked like they were having so much fun! We're so happy we've found something we both love. It's also brought us a lot closer as sisters and best friends. Sigma Beauty: Do you have any advice for aspiring beauty gurus? Eleventh Gorgeous: The first thing we always tell girls who ask us this is, "Be yourself and have fun!" We make sure to always have fun with it because it comes across in the video. If you're having fun, then others will have fun watching you! Don't get discouraged. For us, we were super nervous when we first started. It can take time to get used to being in front of a camera, but just keep practicing! For the technical side of beauty videos, lighting is a really important factor to get right. It can be as simple as filming in front of a window. If people can't see or hear you very well, they won't be as likely to watch your videos. Sigma Beauty: Share one of your favorite beauty tips/secrets. Eleventh Gorgeous: Something we never knew about before we started YouTube was eye primer/base. We had no idea how much it affects the vibrancy and staying power of your eye shadow. This is definitely something we could not live without! There are so many options from drugstore to high-end that anyone should be able to get their hands on a great eye primer. Even some concealers will do the job! Sigma Beauty: Which celebrity do you look to for beauty inspiration? Eleventh Gorgeous: We mostly get inspiration for makeup/beauty related looks from other beauty gurus on YouTube. We look to celebrities more for fashion inspiration. One of our favorite things to do is recreate celebrity looks for less! Some of our favorite celebs include Taylor Swift, Selena Gomez, Rachel Bilson, Lauren Conrad, and Nina Dobrev. Sigma Beauty: Which Sigma Beauty product could you not live without? Eleventh Gorgeous: We both love the F40 Angled Contour Brush. It's been our favorite blush brush since March 2009 when we purchased the Essential Kit. Honestly, the whole Essential Kit is amazing and a must have Sigma Beauty product! Connect with Tracy and Stefanie! i love watching them they are both so cute!